Say what you want about the upcoming Venom film, and I’ve said a lot, but at least the visuals look half decent. Oh, sure some may have described them as a sticky mess, or looking like a painting even Jackson Pollock would have described as ‘a bit much’ but the hype for this film is real. And to get the fans excited for the Lethal Protector’s big-screen debut (Spider-Man 3 can sod off) Sony have released a new teaser for the international market. Most of the teaser is the super exciting stuff we’ve seen before like Eddie wandering around the halls declaring to no one in particular that he’s a journalist but there is something even cooler in it. A brief ten-second clip of the film’s villain Riot kicking the sh*t out of Venom harder than the critics kicked the sh*t out of Spider-Man 3. It seems Riot and Venom are going to go at each other tooth and claw, or should that be tooth and tentacle, literally ripping each other to pieces. Unfortunately, anyone hoping to see any real carnage is going to be seriously disappointed, despite the director pushing for the most violent superhero film ever Sony recently announced that Venom will be PG13 which translates to a 12 here in the UK. Thankfully they’ve got a decent, if outlandish, reason for keeping the violence at a minimum. They’re hoping to have this version of Venom crossover with Spider-Man one day. Sure conventional wisdom would say that compromising the director’s vision for the sake of building a franchise is a flawed way to make a film but that’s never stopped studios making silly decisions before. Still, though the idea of a real Spidey versus Venom movie is a tantalising one especially as the character has his roots in the pages of Amazing Spider-Man. 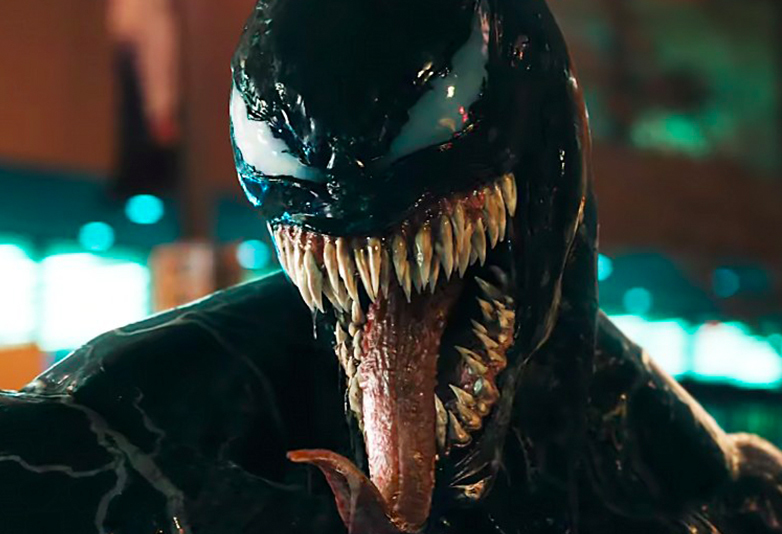 A number of fans have questioned how Venom works as a character without Spider-Man but Sony seems confident that they’ve cracked it somehow. 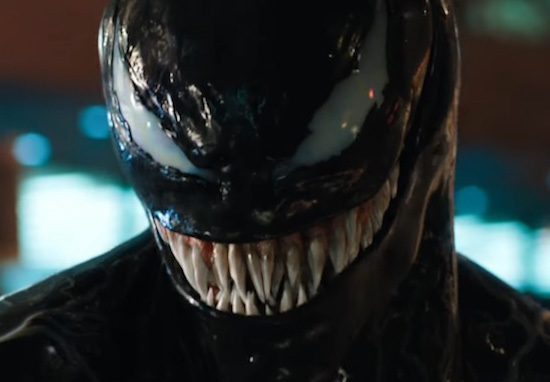 If Sony does make their Venom film work, and there’s no reason to believe they can’t, then we’d be first in line to buy tickets to a potential crossover with the wall-crawler. 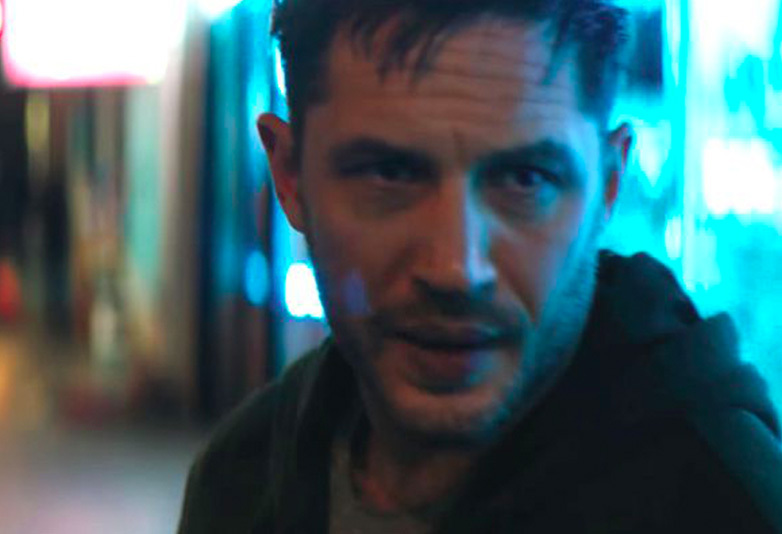 Venom stars Tom Hardy as the titular anti-hero also known as Eddie Brock, a reporter in San Francisco, who’ll find himself bonded to an alien symbiote which bestows him with great power. A power he’s going to need if he’s going to stop the evil life foundation from taking over the woorld with their own superpowered symbiotes Riot and Scream. Venom swings into cinemas on October 3.